"The Yamaha NX range are the most structurally sound and well built nylon guitars for live and on stage performances out there. They never compromise on precision or tone when amplified and at high volumes are truly the apex guitar for professional musicians." 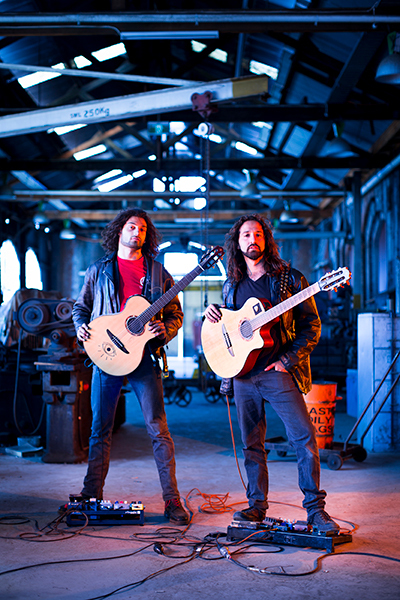 After forming in late 2013, Frenchmen Alex Champ and New Zealander Nadav Tabak decided like many other great musicians to take to the streets busking, composing and crafting their original works in the heart of Melbourne, Australia. With their independent “Terra EP” enjoying great success, selling over 7000 physical copies. In late 2016 the duo released their highly anticipated debut album "Lost Fables" recorded with producer Dave Newington and critically acclaimed mixing and mastering engineer Mark Lewis. Lost Fables, creates a vivid portrayal of Champ’s and Tabak’s diverse music style and unique relationship with the guitar. The momentum from Lost Fable's release has brought attention to the duo online, going viral with millions of views and countless shares across social media in early 2017. Currently Opal Ocean is set to play the Melbourne Guitar Show 2017 and festivals across Australia and Europe.